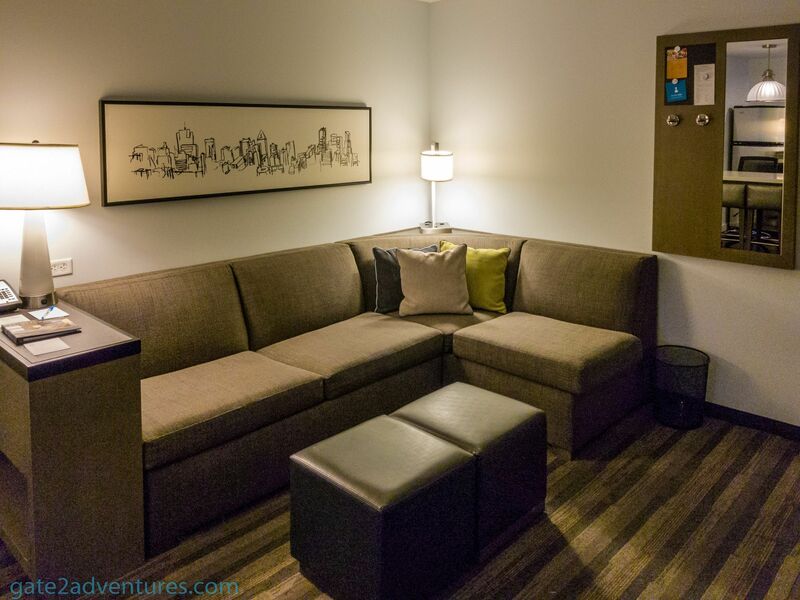 The Hyatt House in Salt Lake City is centrally located near most of the important venues of Salt Lake City. With the Gateway Mall, the Convention Center and Vivint Smart Home Arena surrounding it. While City Creek Center Mall and the Temple Square are just a short walk away and you don’t need a car to reach them. The tram system in the downtown area is pretty well developed as well. 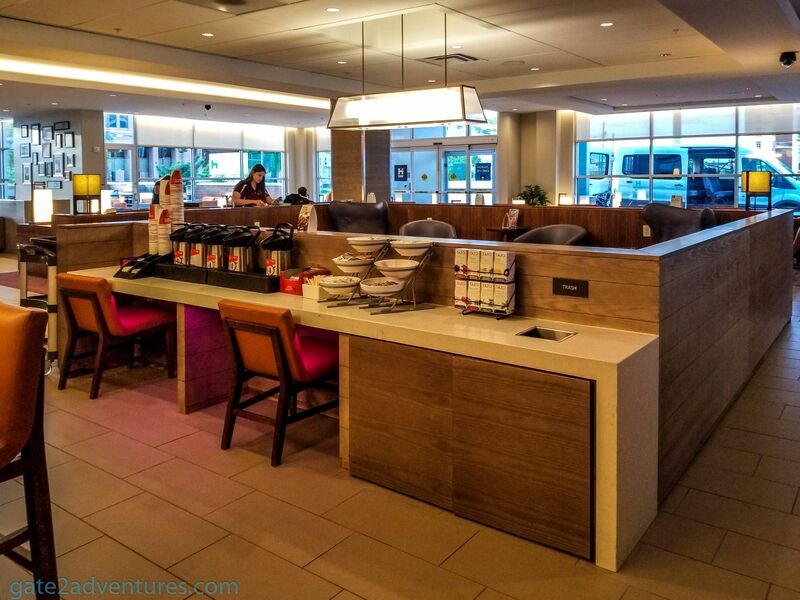 There is a Hyatt Place (review) just a block away if you are looking for another hotel of the Hyatt brand. Located on a busy street, you can’t make the left turn on 300 W if you are approaching from the south by car. Make a left turn on 100 S and use the little driveway to your left right after the Marriott Courtyard. There are signs for public parking as well. These will take you right up to the front entrance of the Hyatt House and the nearby parking garage is where you will be parking as well. Coming from the north on 300 W is no problem as you can pull right into the hotel entrance after passing 100 S.
As usual, the check-in was straightforward. They pulled up my reservation, I showed my ID and credit card and got my room keys with a few extra information about the hotel. I got pointed toward the directions of the elevator which are just around the corner to the right from the front desk. After exiting the elevator, I just had to walk down a few rooms to find my room on the right side facing towards the downtown side of the hotel. After stepping into the room, you are in the big and spacious living area with a sofa-bed to your right and a TV adjacent to it. Looking down past the living area is the full-size kitchen with everything you need to prepare food for a longer stay. 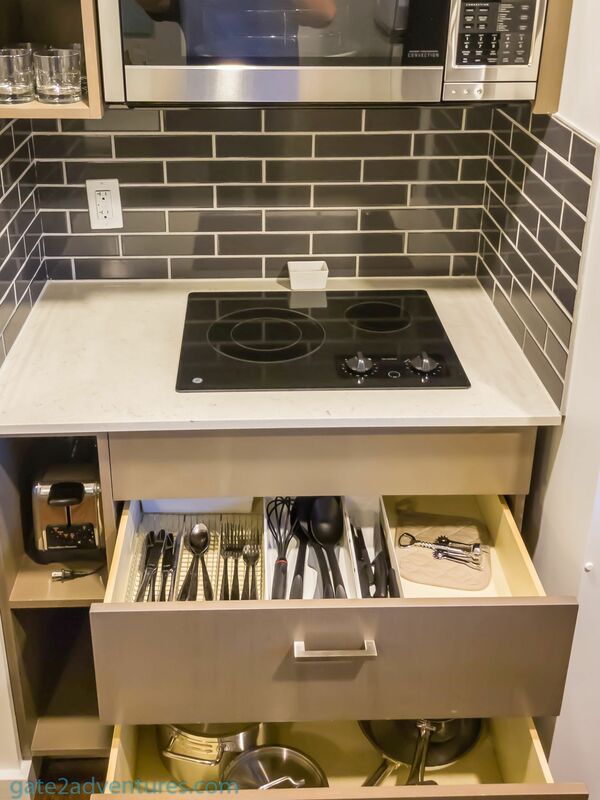 The kitchen is pretty well equipped with appliances, utensils, and dishes. Really everything to cook a nice meal and enjoy it with the whole family if necessary. 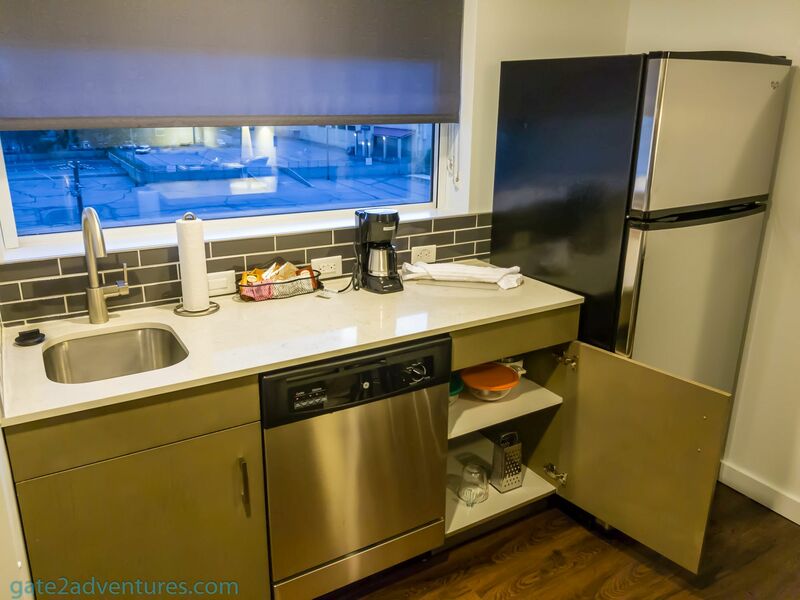 Above the kitchen counter is a small lengthy window with a view of downtown. You get the same view of downtown from the bedroom to the left of the room. Unfortunately most noticeable is the big ugly parking lot right across the street before your eyes wander further into the distance where you can see the real downtown Salt Lake City. The bedroom is separated by a door from the rest of your hotel room. From the bedroom, you have access to the bathroom and a closet. As usual, the bedroom features its own TV adjacent of the King bed. 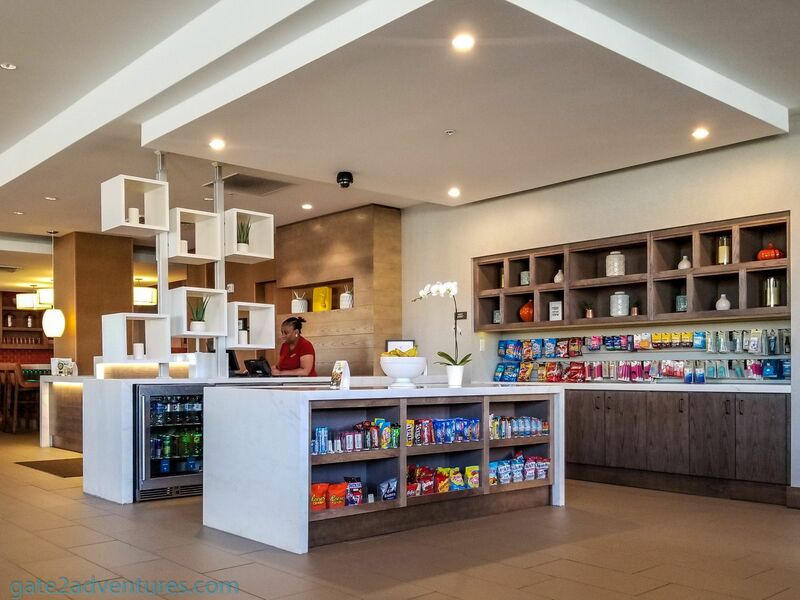 The lobby is huge and features quite a variety of recreational opportunities. 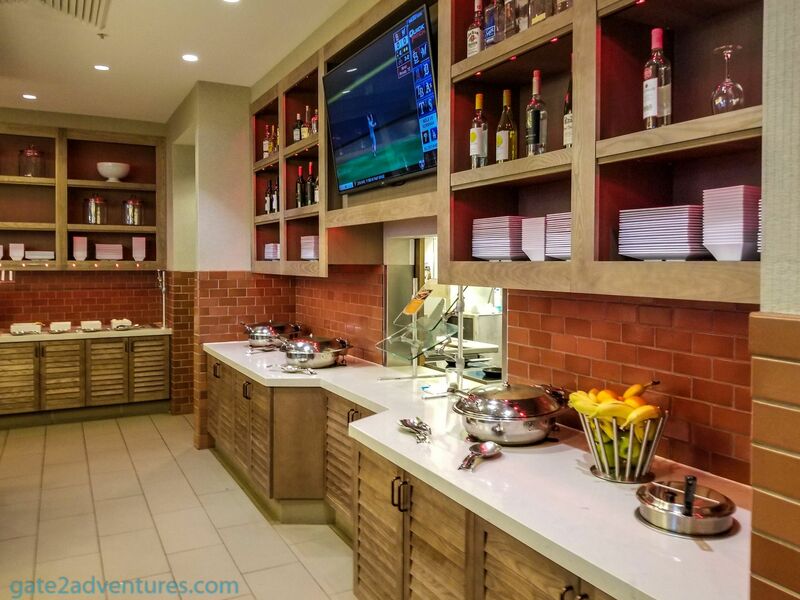 Besides the front desk, you find the breakfast and bar area here of to your left. 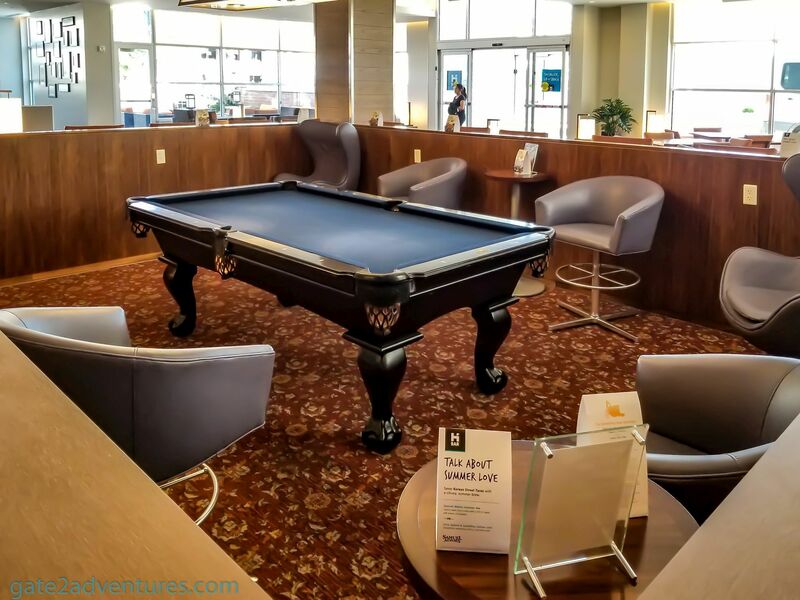 There is even a pool table there for you to enjoy while hanging out in the lobby. Seating here is plentiful and I never had any issues even during busy breakfast times to find a spot. The lobby can be used to hang out and meet up with other people. There is even more and better seating at the other half of the lobby. This is set up to hang out and mingle. 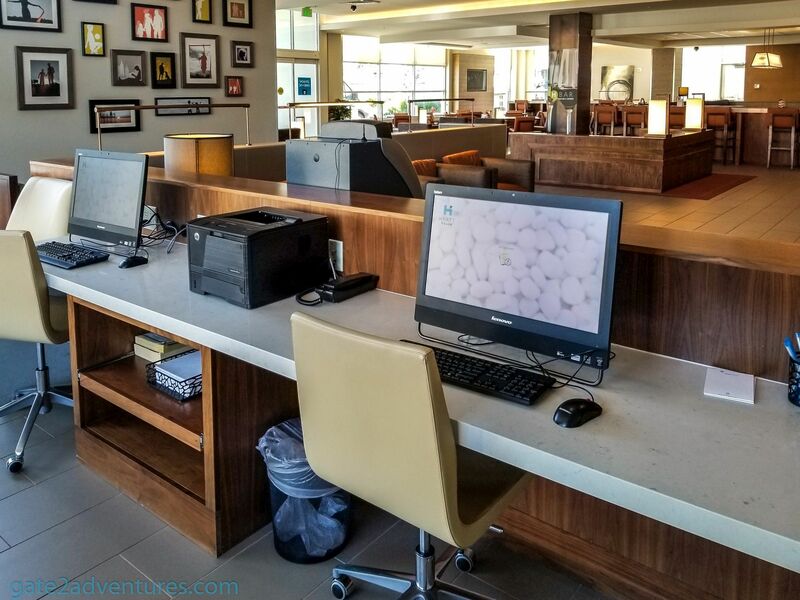 Adjoining the lobby area toward the elevator is the business center with workstations and printer. Just behind that is an outdoor patio with a BBQ grill and plenty of seating. Unfortunately, it was closed during my stay for renovation. 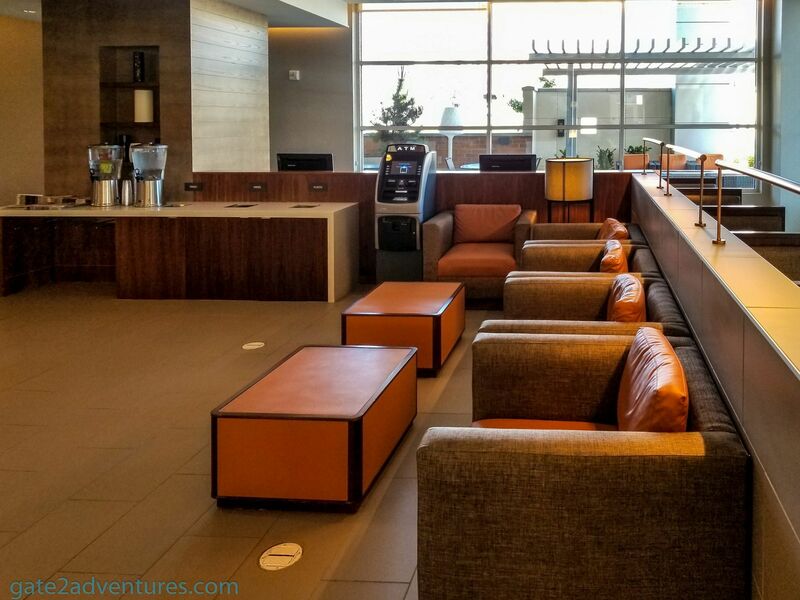 Across from the elevator is an area with seating all around to hang out and you are set away from the main lobby area, which gives you a bit more privacy and quietness. If you follow the hallway further down it will bring you to the fitness center on your left and the outdoor pool. 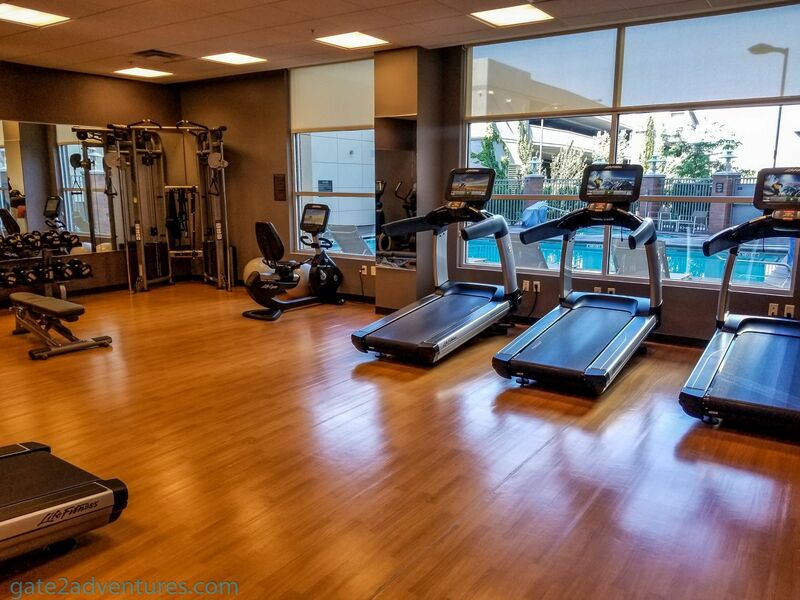 The fitness center is well equipped, has plenty of work out opportunities and has a view of the pool. With the high temperatures during the summer, the outdoor pool is ideal to cool down and soak up some sun for your tan. With its location at the backside of the hotel, you get a more quiet place to hang out and are away from the busy street on the other side of the building. 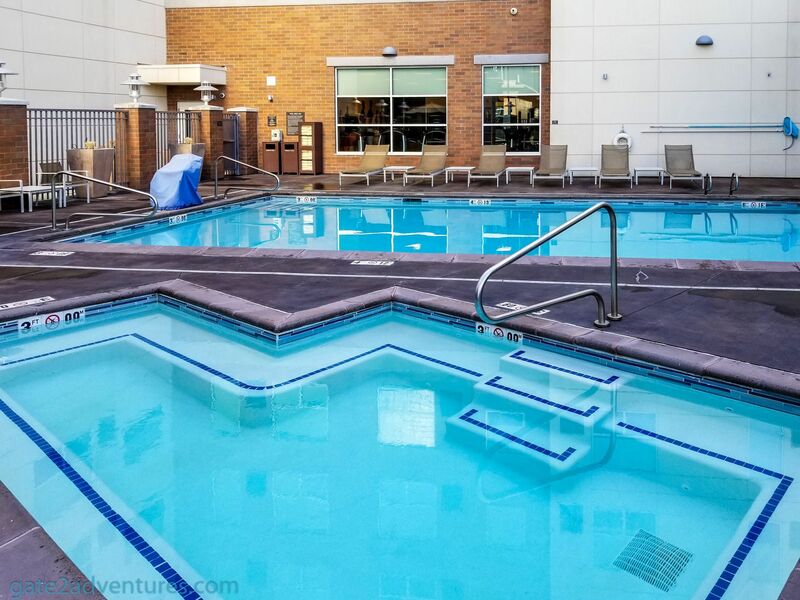 The pool has also access to the little road running behind the Hyatt House, the nearby Courtyard by Marriott and the parking garage. The parking garage is shared between the two hotels and is also available for public parking guests. The rate as a Hyatt Houseguest is $10 per day with in and out privileges. However, the system wasn’t really working and I had to get new tickets over and over again during the few days I stayed here. On my last day, the problem was gone and it seems they were able to identify the issue. It was also just a minor inconvenience as you could ring the button at the gate to talk to the hotel and they would buzz you out by telling them your name and room number. This saved me from parking again, especially when there is someone behind you waiting, walking back in and trying it all over again. 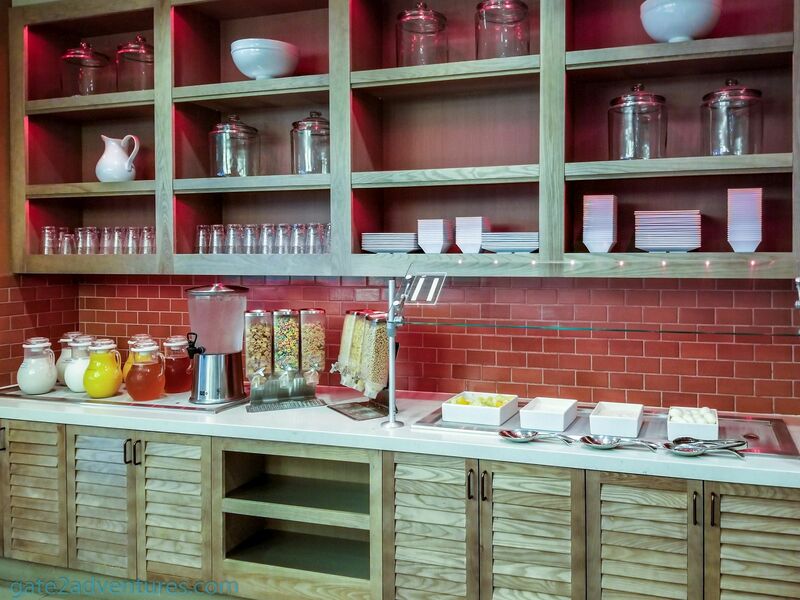 The Hyatt House offers complimentary breakfast to all the guest and has a big variety on the buffet. 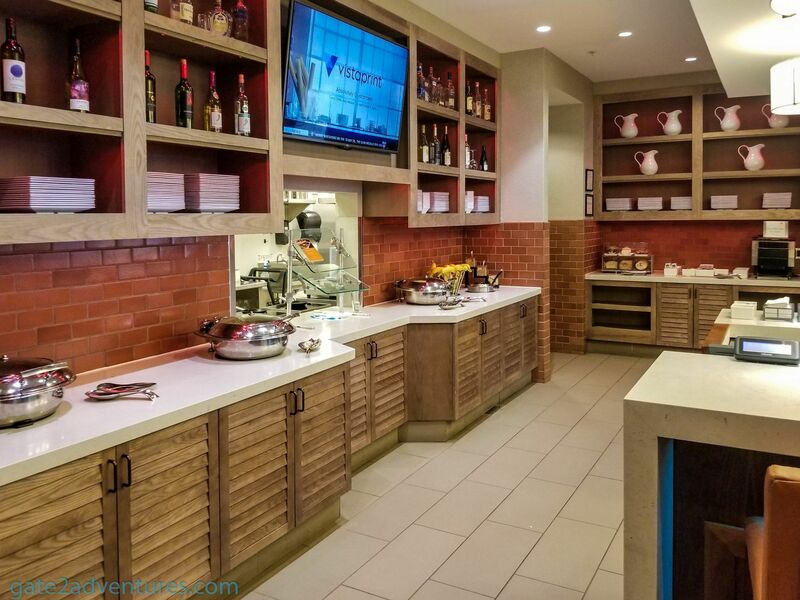 You will find your usual continental breakfast items here and the Hyatt House tops it off with an Omelet station. 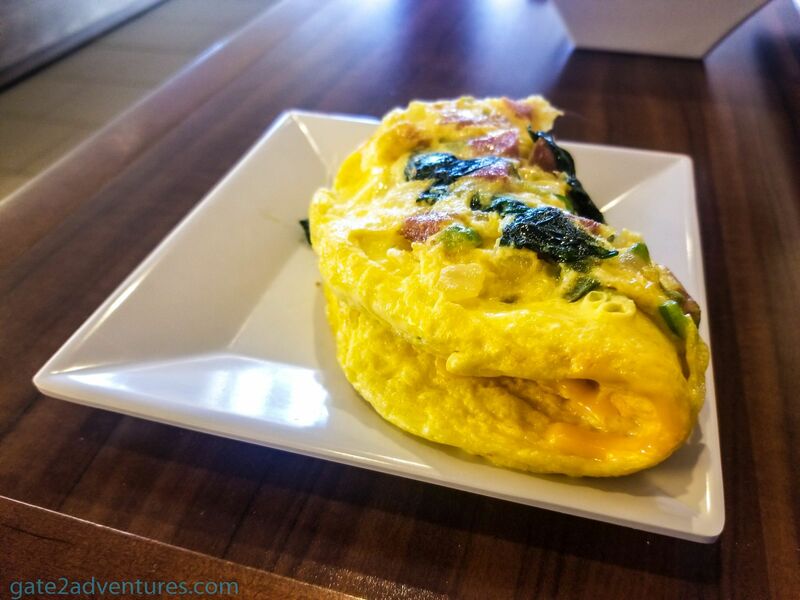 Fill out a paper how you want your omelet prepared and you get a fresh made to order omelets. This is a service I really like but during busy hours at breakfast, you might be in line for a while. As mentioned there is plenty of seating available in the lobby to seat the guest for breakfast. At night the same area doubles as the “H Bar“, a feature of the Hyatt House brand. Enjoy drinks and snacks from their menu which are made-to-order. In case you are hungry outside the regular dining hours, visit the Guest Market next to the front desk and buy some snacks and beverages. The selection is quite good and one of the better markets I have seen. For the long-term guest, the Hyatt House team will offer a complimentary grocery shopping service for your convenience. Fill out a list and they will shop for you and put it in your room and refrigerator. The stay here at the Hyatt House was fantastic. I could walk to all the places I needed to go. Service was great and the staff took well care of me and the other guests here. 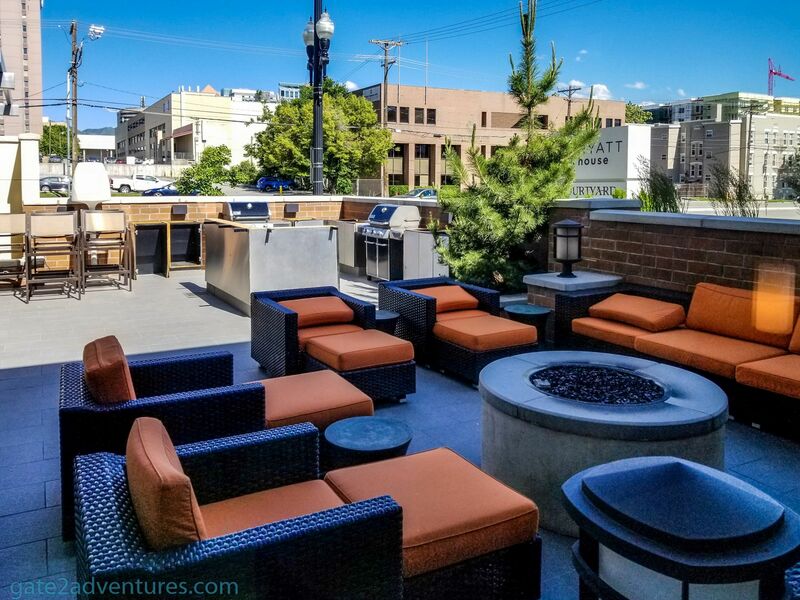 This hotel is probably ideal when you are visiting a convention or event at one of the nearby event venues surrounding the hotel like the Salt Lake City Comic Con. A few alternative hotels especially for convention visitors.